Wordy’s copy-editing and proofreading process involves correcting grammar and punctuation and ensuring correct usage, internal consistency in usage and coherent logical structure. 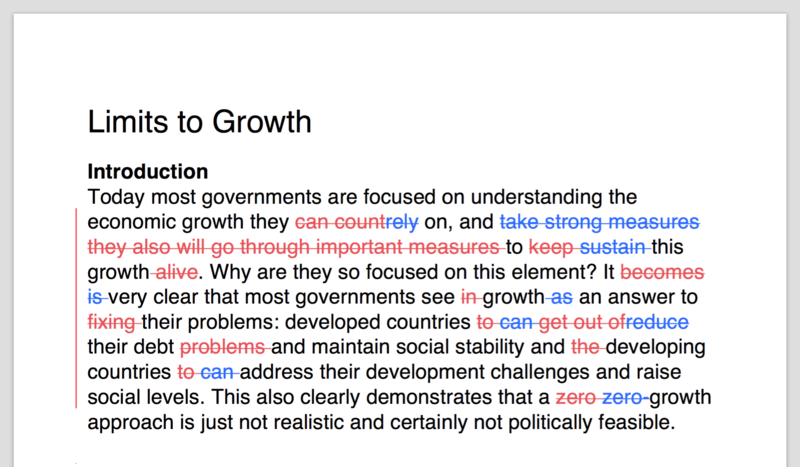 Wordy editors will always provide corrections for incorrect or nonstandard grammar or usage; they will sometimes reorder or consolidate sentences. Occasionally, they may suggest reordering paragraphs, although larger-scale reorganisation, particularly of long documents, is outside of Wordy’s scope. This process may be called copy-editing or line editing. Wordy editors do not fact check or do research, and they typically do not edit or cross-check references. They may change references from one style to another or reformat a document according to your specifications, but if there are more than a few references or the document to be formatted is more than a page or two, the job should be entered as a content rewrite.